The sun is slowly sinking in a golden glow behind the stones of Avebury, the largest stone circle in Europe. The massive Swindon stone becomes a silhouette, its 60-tonne bulk solid and unmoved against the sky just as it has been since it was first placed here by Ancient Britons more than 4,000 years ago. Mention stone circles, and most people think of Stonehenge and Druids. In fact, there are more than 1,000 stone circles in Britain, and none was built by Druids (the stones are far older than Druidism). Avebury Ring is the largest, some 14 times the size of Stonehenge, and a particular joy to visit. There are no tickets, no fences, no restrictions and no crowds. You – and the sheep – move freely around the prehistoric sites, taking your time, choosing your viewpoint and touching the stones at will. We climb to the top of the ancient bank that surrounds the stones and look out over the landscape. We can see the mysterious Silbury Hill, Europe’s largest prehistoric, man-made mound that sits 40m high like a vast upturned pudding, visible for miles around. Then there’s the avenue of paired stones leading away into the distance. The route once linked Avebury to The Sanctuary, another Neolithic sacred site. Further away, towards an even earlier monument, we can spot the 5,500-year-old ancestral stone grave of West Kennet Long Barrow. Prehistory and contemporary life intermingle. A road cuts through the site, but manages not to intrude too much even though the village of Avebury sits partly within the largest stone circle. The material for some of the 18th-century houses has been hacked from the circle’s sarsen stones. The National Trust museum, which is housed in two barns, displays artefacts found on the site, as well as providing plenty of background information. The older of the two galleries, the Stables Museum, pays particular attention to how we know about the society that built and used Avebury – and just how little is certain. There are some intriguing objects, too, including one for the children: a chunk of Neolithic dog poo. The newer Barn Gallery is much higher tech and generally more child-friendly, with interactive displays and activities, and an excellent world time-line showing that Avebury and Silbury Hill were built about the same time as the earliest Egyptian pyramid and long before King Tutankhamun. From the museum, a few steps take you straight up into the circle. It is 1.3km round the largest ring, with 27 of the original 100 or so stones still standing. There are two smaller circles and a row of stones in the interior. None has been dressed (cut), as some have at Stonehenge. At Avebury the stones were simply selected, dragged to the site and positioned. Go for a stroll on Fyfield Down above Avebury and you’ll still find vast sarsen stones “in the wild”, just lying around in the grass. The chances are the circles had a ritual use, perhaps some kind of ancestral cult. Certainly, walking up The Avenue towards the Avebury Circle it is easy to imagine a ritual procession. The Avenue is clearly designed to bring you glimpses of the circle before a triumphal arrival at its entrance. The circles may also have been meeting places, or were even used for trading purposes, and probably had different uses at different times. 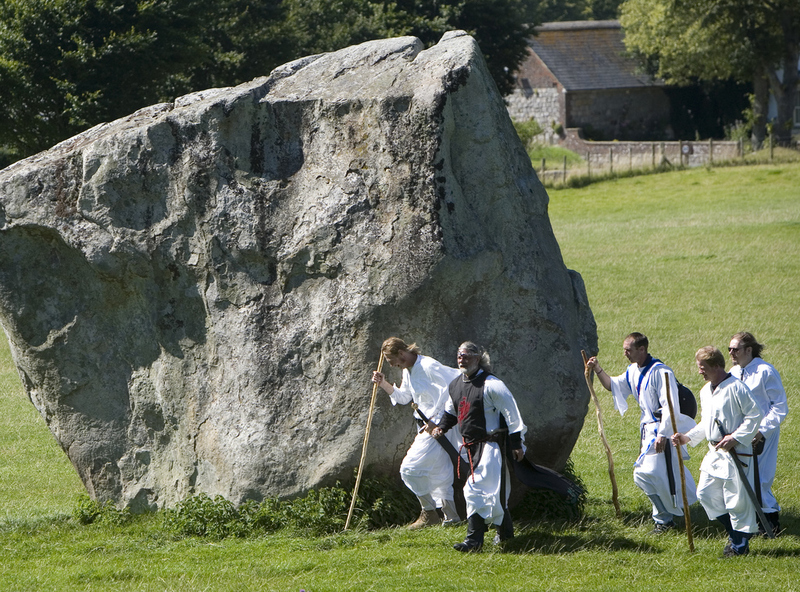 Some modern visitors insist they feel special energies and spirituality at Avebury. I don’t know about that, but I do feel a tremendous sense of history – and it is a very beautiful place. A World Heritage site, Stonehenge, in Wiltshire, is the most spectacular stone circle in Britain, with carefully crafted standing stones and unique horizontal lintels held in place by carved joints. The atmosphere is adversely affected by two main roads and the approach through a tunnel. Visitors are routed around the monument for a comprehensive view. Stone Circle Access visits (01722 343834 begin_of_the_skype_highlighting 01722 343834 end_of_the_skype_highlighting) can be arranged outside opening hours. (0870 3331181 begin_of_the_skype_highlighting 0870 3331181 end_of_the_skype_highlighting; english-heritage.org.uk/ stonehenge). The new ‘Stonehenge Guidebook’ by Julian Richards costs £4.99. This is a large and highly atmospheric site on the top of a Cumbrian fell, near Keswick, with stunning views of surrounding hills. An early circle – probably built in 3,200-3,000BC – it has significant astronomical alignments in its 30m-diameter ring of 38 stones and its unique 10-stone rectangle. (english-heritage. org.uk; visitcumbria.com/kes/ casstone.htm). There are two main circles at this site near Bristol, one 113m across, the other 30m. There are also single stones that were perhaps once part of an avenue. (english-heritage. org. uk/ stantondrew; easyweb. easy net. co.uk/ ~aburnham/eng/ stant1.htm). There are hundreds of other circles that can be visited, from the Rollright Stones in Oxfordshire to Callanish on the Isle of Lewis, as well as many lesser-known ones. 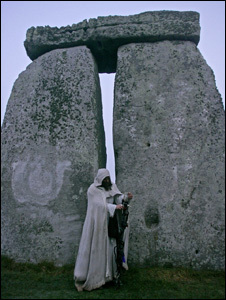 Standing stones may be found almost anywhere in Britain, other than in the east. Go to megalithic.co.uk for maps and information. ‘A Guide to the Stone Circles of Britain, Ireland and Brittany’ by Aubrey Burl includes map references and directions. It is published by Yale University Press and costs £8.95.